A tremendous view of the headliner. 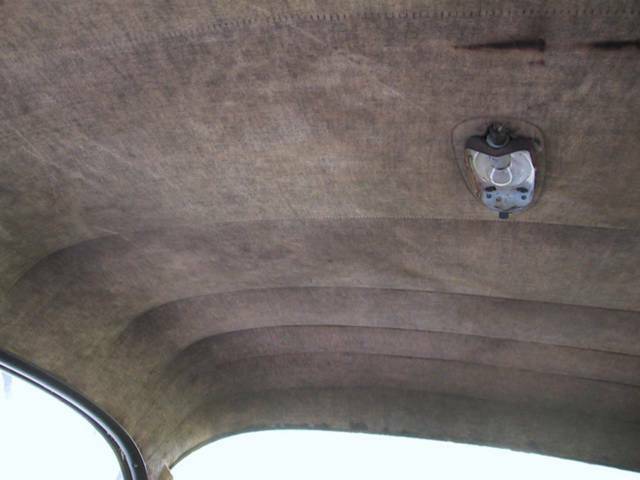 The headliner is nineteen layers of dust and rust. It is intact and has a patina unlike that generally found in automobiles. It is the Cloisters and Fight Club. I had bought a replacement light bezel - chrome and shiny- but threw it away. It looked ridiculous. You can buy nearly everything for these cars but I like it as is. And a mere $2250. An awful lot of steel. An excellent per pound price.